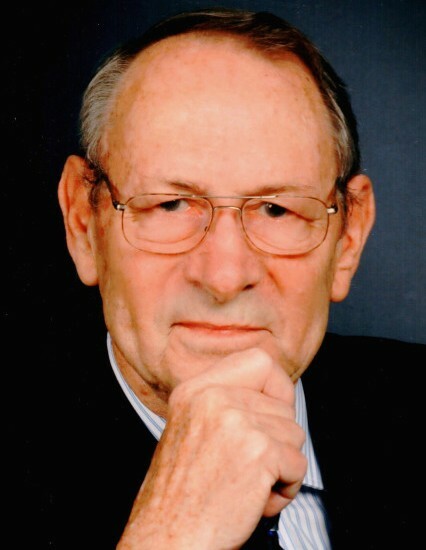 Harold Joseph "Butch" Pohl, 82, of New Haven, MO, passed away Tuesday, December 4, 2018 at Mercy Hospital, Washington, Missouri. Harold was born in Washington, Missouri on May 19, 1936, a son of the late Aloys & Wilma (Thorton)Pohl. He was the widower of Viola Helena (Hilke) Pohl. They were united in marriage on November 10, 1956, at St. Francis Borgia Church, Washington, MO. Harold proudly served his country in the U.S. Army from 1955 to 1958. He was a member of Assumption Church, New Haven. Harold was a general manager for Hawthorn, then later Kellwood Manufacturing in New Haven. In his free time he enjoyed camping, painting, fishing, being in the outdoors, doing wood working, playing basketball, following politics, but mostly spending time with his family at the lake house. Harold is survived by a daughter, Cindy Yowell & husband Jim, of Berger, Missouri; a son, Terry Pohl & wife Lynn, of Washington, Missouri; a daughter, Linda Getty & husband George, of Niles, Illinois; a daughter, Brenda Mahanes & husband Jay, of Lone Jack, Missouri, a son, Glen Pohl & wife Jodi, of Washington, Missouri, two sisters-in-law, Marge Pohl, of St. Charles, Missouri; and Leona Noelker & husband Dave, of Washington, Missouri, a brother-in-law, Edward Hilke Jr. & wife Bernice, of Washington, Missouri, by 14 grandchildren, and three great grandchildren. He is preceded in death by his parents, his wife, a brother, Bob Pohl, and two sisters, Joyce Moore and an infant sister. Visitation will be held Thursday, December 6th from 4:00 to 8:00 p.m. at Toedtmann & Grosse Funeral Home, New Haven. A funeral mass will be held Friday at 10:00 a.m. at Assumption Church , New Haven, with Father John Deken officiating. Burial will be at St. Francis Borgia Cemetery, Washington, Missouri. Memorials may be given to Assumption Church or St. Francis Borgia Regional High School. C/O Toedtmann & Grosse Funeral Home.